This week on Homebrewed Christianity, Fr. 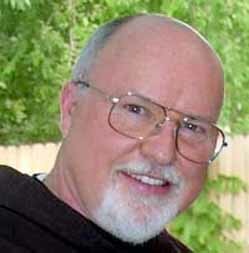 Richard Rohr discusses the Emerging Church, and the upcoming conference with Brian McLaren, Phyllis Tickle, and Shane Claiborne at his Center for Contemplation and Action. We talk about the relationship between contemplation and action. Fr. Rohr says that the most important word in The Center for Action and Contemplation isn’t ‘action’ or ‘contemplation’. It’s the word ‘and’. We talk about his book Things Hidden: Scripture as Spirituality and the balance between internal and external authority when interpreting scripture. Ryan Parker at PopTheology.com shares another couple of film reviews: Slumdog Millionaire and Happy Go Lucky. For information on the Emerging Church Conference, ‘the first large gathering of Roman Catholic, Mainline Protestant, Evangelical, and other Christians seeking to explore this emergence and convergence together,’ visit CACRadicalGrace.org. ‘Utterly Humbled by Mystery‘, Fr. Rohr’s ‘This I Believe’ Essay on NPR. Next week on Homebrewed Christianity is singer/songwriter Bill Mallonee and in the month of February, we’ll be looking at different perspectives on evolution. Be sure and check out Become a Deacon and put the deacon badge on your blog or website. Tripp and Jesus like birds.